The BC Titanium Power Tech Backpack is a new design from SwedaUSA for 2016, as part of their Basecamp line. I am basically going to steal their description straight from the web, since it hits all the high notes. So yes, this bag is designed to protect your tech. And yes it comes standard with a 6,000mAh xooper Slim Ice Bang Power Bank. 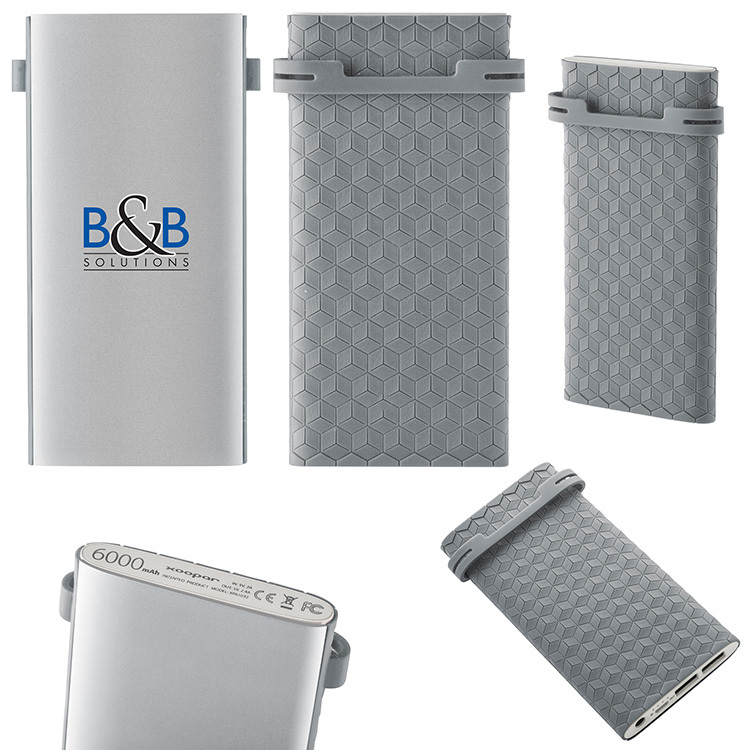 Slim Icebag Powerbank comes with the BC Titanium Power Tech Backpack and can be printed full color. I love the stock blue interior on the BC Titanium Power Tech Backpack. But did you know that the BC Titanium Power Tech Backpack, and nearly all Sweda bags, can be customized to your company colors? Want a red interior and a jet black exterior, we can do that. Want your team or corporate colors or logo covering the entire bag, no problem, just ask. Decoration on the BC Titanium Power Tech Backpack can be embroidery or screen-print. The decoration on the accompanying xooper Slim Ice Bang Power Bank is screen-print, and can be done with Sweda’s Spectrum Print method, so full color imprints are easy. 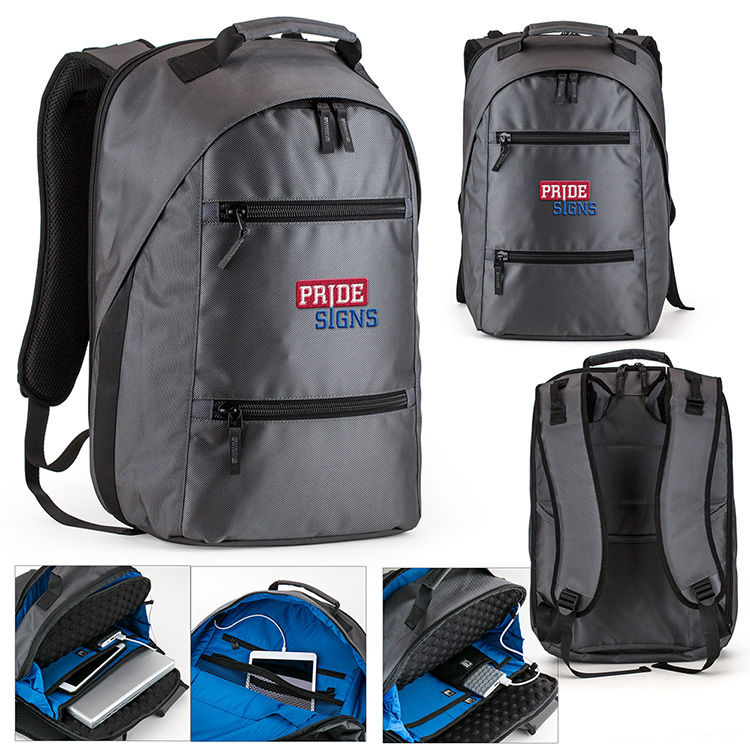 The BC Titanium Power Tech Backpack is great for the business traveler, great for college programs, great for service techs that need to carry gear between calls. Sweda’s Basecamp line has done very well in the past years, and I suspect that the BC Titanium Power Tech Backpack will continue in that fine tradition. Please contact us at info@proformagreen.com if you would like more information on the BC Titanium Power Tech Backpack. This entry was posted in Backpack, powerbank. Bookmark the permalink.